Fly Spaceships and destroy enemy base! Destroy all the enemy ship and protect your world. Fly your battle ship and destroy enemy ships! 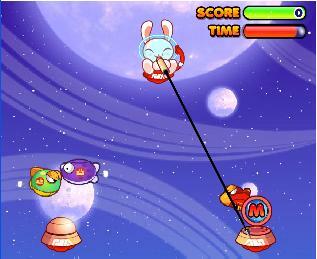 Defend your planet from invaders by drawing a line to bounce their attacks! Eat smaller alien to be able to grow! Avoid being eaten by bigger alien! Korean cartoon game. Shoot the correct rocket to get points. Shoot those aliens down as fast as you can once again is this sequel. You have 101 seconds and only 3 lives to save the world! Help the Backyardigans complete their mission on Mars! Annihilate all the invaders and save the world. Fly into the sky and shoot those alien scums. Efface Space Invaders in the graphical masterpiece Star Defender 4. Help this dumb astronaut to cross the galaxy. Help James the Space Zebra collect all Dark Matter and avoid asteroids.